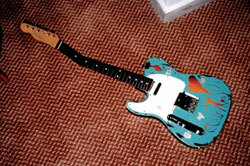 A list of the guitars that Kurt Cobain used on tour, compiled using available photos & videos and with the help of NIRVANA guitar technician, Earnie Bailey. 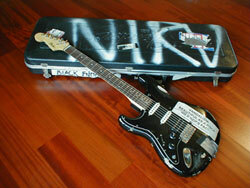 Photo/video evidence enables us to determine that Kurt Cobain used the following guitars at this show. Please contact us if you have any further information. 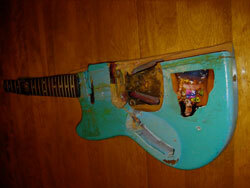 We lack the necessary photo/video evidence to determine which guitars Kurt Cobain used at this show. Please contact us if you have any further information. Kurt Cobain did not play guitar at this show. 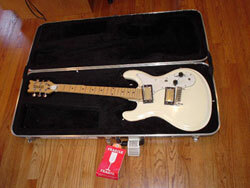 Audio analysis enables us to determine that Kurt Cobain used the following guitars at this show. Please contact us if you have any further information. 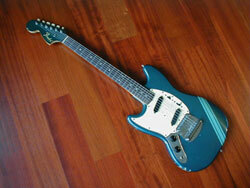 First-hand eye-witness accounts enable us to determine that Kurt Cobain used the following guitars at this show. Please contact us if you have any further information.